beautiful subject that has relevance to an empowered worship. the highest offering to give the divine is our body. prior to a cold shower, when we meditate into the five elements- as our body being earth and water elements; the inner tummo fire as the awakened divine; breath and beyond breath as energies of wisdom ; and liberated as joy to be the element of space- the body becomes an offering! 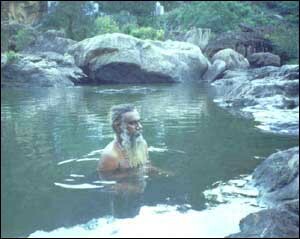 entering the cold water is a daily baptism by our guru- our wisdom state that is in being spirit through the renewal process that is like the surrender of the body/the past/attachments into mother ganga. sometimes the body screams- me,my,i,cold,not happy:( scolding the body saying, ‘hey body, while making love you enjoyed yourself. now make love with this sacred union too!’ gradually, the body enjoys the extremes in the surrender experience transformed to joy to be sustained by the spirit we are awake to be. dissolving the ‘i’ through our cold shower to feel our spirit now hold the body as an offering, the siva puja begins as knowing siva to celebrate being siva. the sacred element of water that flows with mother earth integrating realms that hold fire and extreme cold as temperatures in each unique place we each are in holds the sensual divine realities- the subtle alive in the gross and the awake unions. offering the essence of body as the highest offerings of supreme surrender, we shrug to be the spirit offering our body as the past to acquire blessings of the new. when a yogi throws the mind to acquire the mindless mind of turiya, the body is enwrapped in tapasic fire that allows our intense consciousness to slip into being the water element and knowing her as goddess ganga and in a deeper inhale, climbing through body sheaths to reach source as sivahood knowing spirit just bathing the love-body that enshrines it. – first allow the cold water to flow through the tap before switching over to the shower. – allow the cold/room temperature water to flow below and allow the feet to feel the water and embrace the ‘cold’. – imagine this to be the baptism like the christ awaken as us through st john the baptiste, grace of water flowing. – bending your head below, putting both hands together to form a cup, take the water and put the water gently over your ‘sarasu’, the upper part of our crown chakra. – when pouring the water on the most sacred place, the sarasu, we experience ourselves in innocence of knowing the body and th spirit that we are. 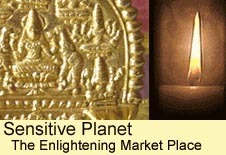 the sarasu is the soft part on the upper most part of our skull, the sacred spot through which life flows into the baby. the awake yogis are of this route, the knowers- hence death is a friend and in event of having to leave the body, this conscious exit gate enables the blessed siddhars to be the master of life knowing death’s pathway. this science enables conscious exit as wisdom in being life force enabling higher grace to transmigrate, from one body to another or simply ‘exit’ to enter into the womb with the knowing as an infant. on daily basis, when we offer our life as surrender and pour water three times on this spot just before surrendering the whole body to water, this wisdom blossoms as our inner knowing and the daily discipline as the journey. – now open the shower and allow the water to hit our sarasu as we stand up and allow the water to flow head to body. – go around as a circle surrendering the ‘body’, the ‘past’, the karma to the running water. – open your arms and let the sacred water flow through our armpits- karma residues are washed off well- especially bad health karma. – ideal mantras are the guru mantras. nandhi favourite shower mantra is ‘guru brahma, guru visnu, guru devo maheswara….!!!" if you have live gurus or spiritual masters, imagine your guru pouring the water- water from source and just surrender the body into the joy of receiving and giving away. – wash the feet well as it stores all the lower level karmas. the entire history of evolution is within us- the feet represent insects and slowly we reach to be the animal-like in the muladhara and above from the navel chakra onwards, we are the angelic beings, chakra by chakra evolving and sacred water energies conveying transforming energies through each. – the muladhara stores desires and the sacred waters in the natural temperatures of mother earth washes away what does not belong to the divine purpose sticking through our karmic mesh of whom we are. – ending the sacred shower, feeling ourselves as the ultimate fruit of worship to be offered to lord siva, may the awake spirit now perform the ultimate most seductive love making with the divine as lord siva worshiping lord siva with goddess sakti, the experience of entwined union. – may the sacred puja of purpose as human be awake, the soul as wisdom enabling the tranquil intellect to be the eternal yogi. as blessed in the sacred waters, may we each be in peace, free and in celebrated human form.